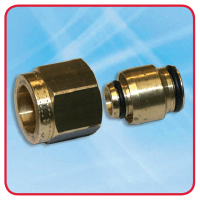 Suitable for 10mm, 15mm, 22mm and 28mm, Maincor Compression Connectors are the simple, easy way to connect multilayer pipe to copper compression fittings and a wide range of valves, radiator connections and threads with a straight BSP connector. They form a handy repair coupling. 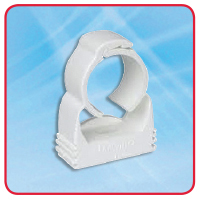 White pipe clip with self-closing clamp for a fast and easy installation.